LinkedIn Profile Fix: Turn your Profile into a Client Magnet! I have been referred to as 'T﻿﻿he LinkedIn E﻿﻿xpert' and universities, local & global companies & associations hire me to train their students or employees about LinkedIn. So far I've helped over 1800 Coaches, Consultants, and other Business Owners from all over the world turn their LinkedIn Profiles into Client Magnets & generate more business. LinkedIn is 277% more effective for lead generation than Twitter or Facebook (Hubspot data). People on LinkedIn are in a business mindset. They use LinkedIn to look for service providers like you, connect & then send you an email with a meeting request. LinkedIn users have a much higher average income than those of other platforms. They have the money to invest in your services. My clients tell me that they get messages such as the above regularly. I know it's true because I do too. And I want the same for you. You see: we don't sell on LinkedIn, but we initiate the sales discussion or spike the prospects interest which then leads to a sales discussion offsite (Phone, Skype or in person). LinkedIn is different that way and this step to take it offsite happens much faster and more often than on any other social platform (remember the business mindset?). But... the 'spike of interest' of course only happens if you actually have an interesting LinkedIn Profile Summary. I was so frustrated and felt bad seeing all these business owners with terrible LinkedIn Profiles that read like boring resumes! These profiles were all addressing recruiters instead of clients, they were talking about the past, instead of the present, they weren't selling... but putting prospects to sleep! With My LinkedIn Profile Quick Fix you can turn your profile into a Client Magnet. 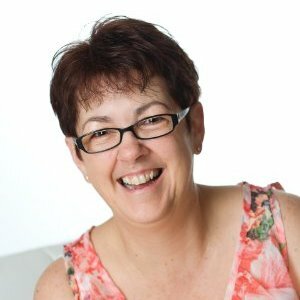 My LinkedIn Profile Quick Fix is a short but insanely effective step-by-step video training that teaches you how to turn your profile into a client magnet. You'll learn why you need to fill out your profile differently as a business owner than you may have as a job seeker and how it can lead to more clients. 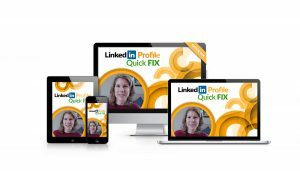 The LinkedIn Profile Quick Fix Video Course gives you access to my entire profile review formula. This process is the foundation of my business and I use it every day when I work with clients one-on-one. 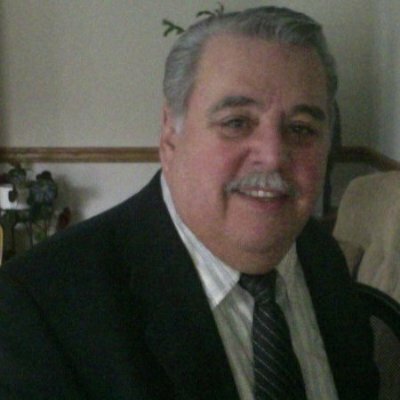 "Just to let you know that I improved my profile last Friday following your course.And Sunday I got 2 leads. One of them booked a coaching session for Thursday.Really good tools! I was expecting to slow down to prepare the baby’s arrival and this was a surprise. It really works! Thank you for sharing your knowledge!" "I could do this myself." Most people actually think they have a decent LinkedIn profile. But they don't. They have a decent resume. But as a business owner you don't need a resume. You need a profile that sells your services, makes you stand out & gets you clients ! You can create your Facebook page on your own, but this is different. Also, most information you find online about LinkedIn Profiles tells you what to do. 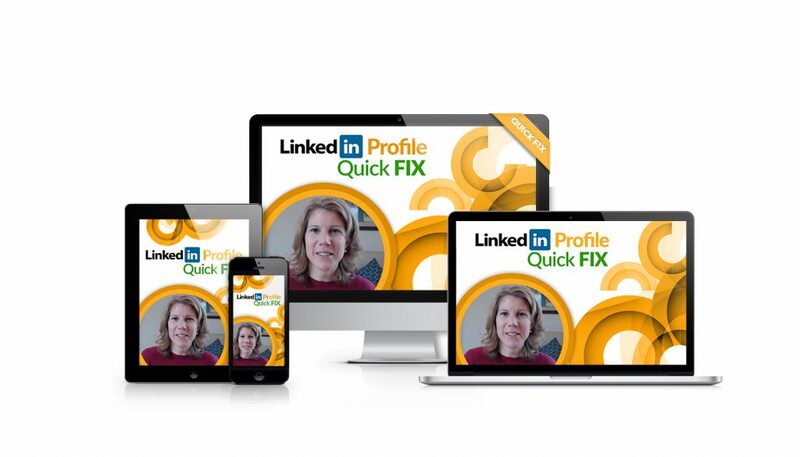 The LinkedIn Profile Quick Fix shows you HOW to do it. LinkedIn is not exactly user friendly you see. You might know that you should keyword optimize your profile, but do you know HOW to do it? This program shows you how. The headline is the most common mistake made on LinkedIn. Why you should not use your job title and what keywords to put instead. What your photo says about you and what types of photos to NEVER use. This is THE most important real estate on LinkedIn. If you get this one thing right, you increase your chances of getting clients by 200%. What website link you should use on your LinkedIn Profile (it’s not your company’s homepage). Learn how to optimize your profile so you drive more traffic to your website. In this video you’ll learn how to make LinkedIn one of the top traffic sources in your Google Analytics account. Be ready for a big a-ha moment in this one. I’ll teach you what needs to go into your LinkedIn Profile Summary so your prospects want to immediately get in touch with you. The place you convince people that you have the solution to their problems. If LinkedIn were your website, this is a mix of the ‘about page’ and ‘work with me’ page. Why using the LinkedIn Profile Summary section is essential to successfully attracting clients. A tiny but epic mistake that you might be making in your summary that’s turning off prospective clients. Why bullet points are boring and what to do instead. LinkedIn might be a professional platform, but it doesn’t have to be boring! Use multimedia to add depth and intrigue to your profile to really wow potential clients. Utilize various visual strategies to help people truly understand why they should work with you. How this section will help you develop the know, like, and trust factor to attract your clients. Why recommendations and endorsements from other people are key to successfully attracting clients through LinkedIn. 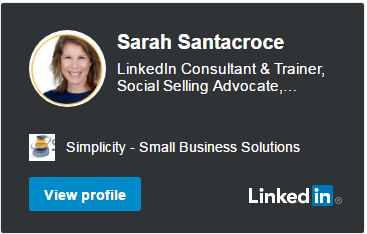 Social proof makes a big difference anywhere, but especially on LinkedIn. I’ll teach you the difference between endorsements and recommendations, and how to get them. This is the place to show off a little! And finally, I'll show you how to use this section to grow your subscriber list ! Are you doing business in another language? I’ll show you how to create a translation of your profile so that you can attract prospects in your international target market. MY BONUS FOR YOU ! This is a handy template that will allow you to quickly update and fix up your profile without having to wonder what goes where. 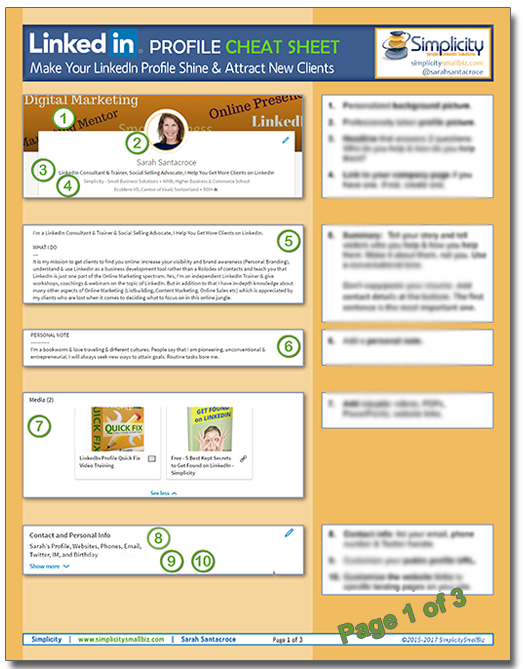 A full profile makeover system checklist so you can get serious about using LinkedIn to attract clients. Have the information in an easy to implement worksheet to put everything you learned in this program into immediate use. Use this cheatsheet to track your progress as you work through the video tutorials. "I have been ignoring LinkedIn for way too long. So I decided to take the plunge and learn from one of the Pros - Sarah. After going through her very helpful course, I have already landed a client. Unquestionably a result of implementing the tips and tricks she shared on improving my profile and networking. Thanks Sarah!" You’ll get 6 videos to implement over 6 days (though you can do them all at once if you’d like)! With just 30 minutes of work per day, you’ll be able to implement the entire LinkedIn Profile Quick Fix. Don’t have time this week? That’s ok, too. You have lifetime access and get all of the videos at once, so you can do the program at whatever pace you’d like. "Completing my LinkedIn profile was such an overwhelming task for me. But following the step-by-step videos I started implementing changes and my perspective changed. I definitely recommend this program, it's a real value for the money. Thanks once again!!" I understand that there are a lot of products out there and not all of them are of great quality and often overpromise and underdeliver. Here’s my deal: If you use the Quick Fix, implement the changes on your profile, become more active on LinkedIn and are still not satisfied with your results, we will reimburse your payment for the Quick Fix. Here's the catch (there’s always a catch): I do ask that you do the work & give it some time. To qualify for a refund, you will need to submit a link to your fully optimized LinkedIn Profile & spend at least 3 months being more active on LinkedIn, strategically growing your network. This program is for: Coaches, Consultants, Independent Advisors, Virtual Assistants, Online Business Owners, etc. A LinkedIn Profile Summary that addresses clients instead of recruiters! More money & therefore more freedom! 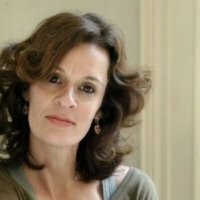 "I am really enjoying The LinkedIn Profile Quick Fix and finding great value in it! My target market IS on LinkedIn, so I really want my profile to be at its best. Thank you for providing so much value for such a reasonable cost!!" Do I already need to have a LinkedIn Profile? Yes, you already need to have a presence on LinkedIn. This training helps you optimize your profile, not start it from scratch. My industry is not listed above. Will this work for me? As long as you’re in the service industry, this will work for you. Can you guarantee me 10 new clients? This is not a time-consuming training. 6 quick 5-10 minute tutorials, around 30 minutes for each to implement what I teach you. Is this a very technical training? This is a quick fix, no one-on-one time with me, no done-for-you work included. But I know if you apply what I teach you, it does the trick :-) I have lots of proof! My Clients are not on LinkedIn. Will this work for me? - is he or she employed? - is he or she running his/her own business? - is he or she the decision maker of a bigger company? If the answer to any of these questions is yes, then there's a good chance that you will find your ideal client on LinkedIn. LinkedIn is no longer just for job seekers or corporate people! What if I have questions after watching the videos? I've got you covered. I've recently added a specail bonus for all Quick Fix customers: a private LinkedIn Group where you get exclusive access to me to support you in turning your LinkedIn Profile into a Client Magnet. Just because it's a professional platform you don't need to worry about not sounding fancy enough. If you have an 'About Page' on your website, then you have the skills to turn your LinkedIn Profile into a Client Magnet.